Few film makers ever eclipsed his joyful zeal and enthusiasm for the often maligned art of genre film making. His work as a screenwriter and director often elevated routine melodrama to the heights of operatic theatricality, while his inescapably contagious ambitions delighted millions of admirers, imitators, and fans. His appreciation for the creative arts fostered a nearly childlike aspiration to greatness that often eluded him but he was, nonetheless, a highly imaginative writer and director whose reputation for theatricality continued the grand tradition of low budget, yet deliciously grandiose artists such as William Castle and Brian De Palma. His recognition of classic film music and composers led him to utilize the sublime artistry of composers Miklos Rozsa and Bernard Herrmann in the latter portions of their distinguished careers, while Cohen himself was the recent subject of a highly praised and entertaining documentary entitled “King Cohen” from director Steve Mitchell. The stars of imagination and creativity are shining just a little less brightly this afternoon as one of their brightest, brashest lights has been extinguished. This entry was posted in In Passing and tagged Larry Cohen, Steve Vertlieb by Mike Glyer. Bookmark the permalink. 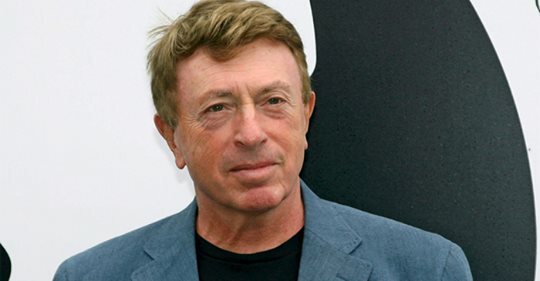 Larry Cohen was one of a kind, his passing stings. Steve: Thanks. Here’s a story I remember about Larry Cohen. He was once profiled for the NEW YORKER and explained how he kept working at 65 in Hollywood. He said that agents and producers kept asking him what he had done lately–and Cohen always had a project in hand and thus kept working. We may think the Hollywood system is mean but it’s a lot better than writers burning out, resting on their laurels, or, worse, getting to the “Don’t you know who I am, little person?” stages of a career.